Disclosure: This post was written in partnership with Degustabox, all opinions and stories are 100% my own. Don’t touch that microwave! 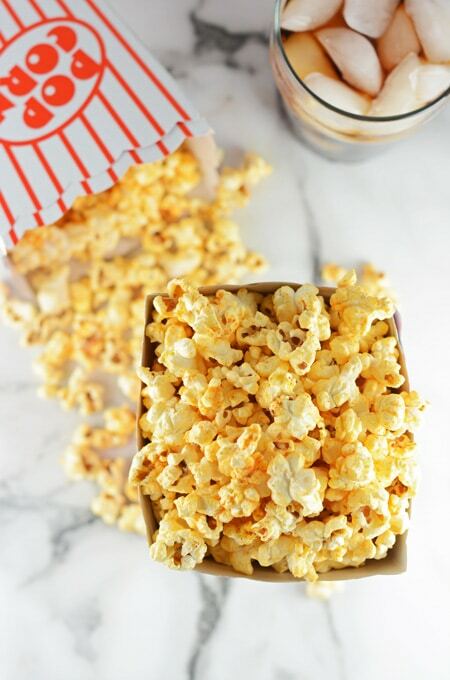 This popcorn recipe for Smoky White Cheddar Popcorn is made on the stove top! 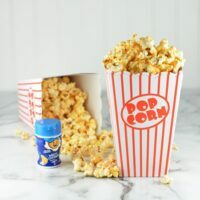 Those bags of microwave popcorn sure are convenient, but I just can’t bring myself to eat the additives in those things; and the flavor and freshness you get from popping on the stove top far exceeds that of the microwave version. You’ll need a nice large pot. I use a 12 quart but if you don’t have anything that big you can get away with something a little smaller. A large pot helps when stirring to evenly distribute the seasoning. If you do not have a large pot you can also use a large bowl and stir the seasoning in and then divide among smaller bowls. You’ll notice there is no salt in this recipe. That’s because I used Kernel Season’s White Cheddar Popcorn Seasoning which has salt in it. I didn’t have to add any additional salt to this recipe. It was perfect as is! Follow me on social media: Facebook, Instagram, Pinterest, Twitter and Yummly. This weeks recipe was inspired by this months Degustabox. In a small bowl, combine the white cheddar seasoning, garlic powder, and smoked paprika. Set aside until needed. 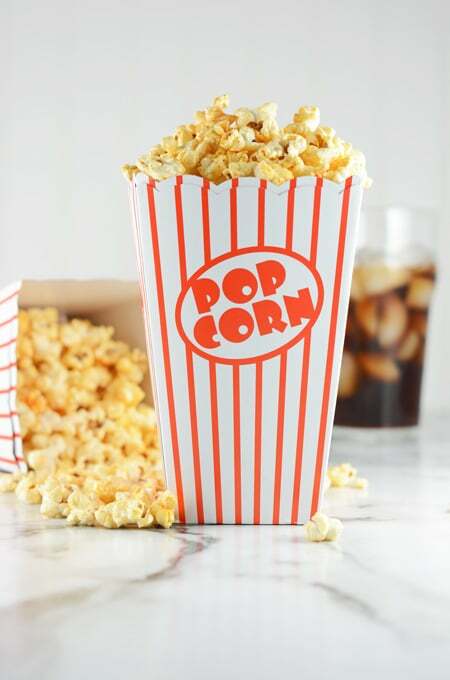 Heat oil and popcorn kernels in a heavy-bottomed pot over medium-high heat with lid. When the kernels start to pop, shake the pan back and forth; and up and down to keep the popcorn from burning. Once the popping has subsided, remove the lid and pour the melted butter on top. With a wooden spoon stir the popcorn to distribute. 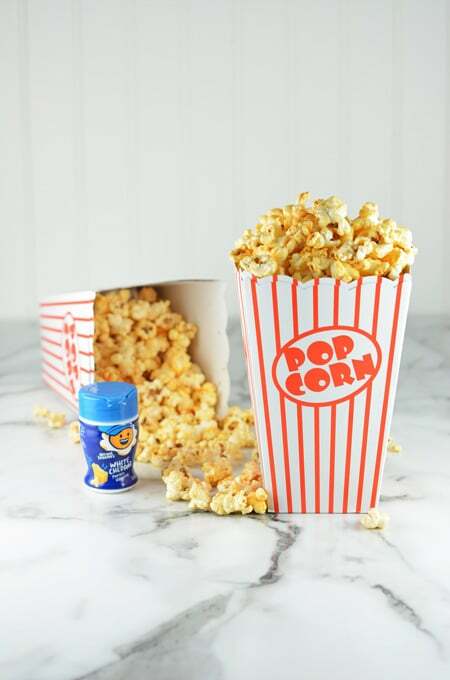 Pour half of the popcorn seasoning over the top and stir to coat the popcorn. Add the remaining popcorn seasoning and continue to stir and shake the pot evenly to coat the popcorn with seasoning. 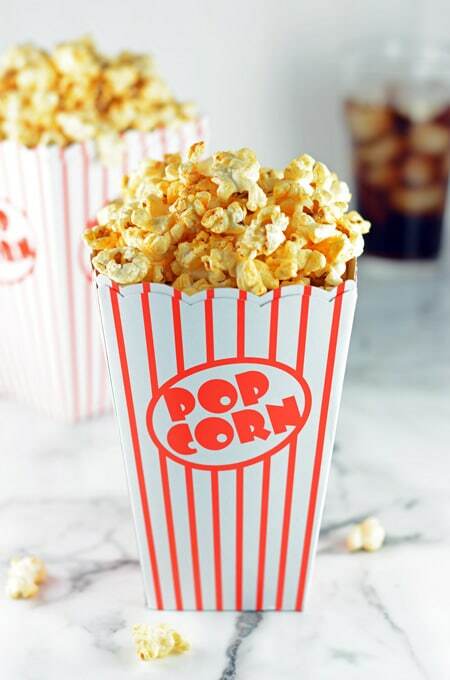 Divide popcorn among bowls and enjoy!